For Estevan and Indian Head, SK drivers, off-roading means Jeep, which is why the 2015 Jeep Wrangler thoroughly outclasses the 2015 Nissan Xterra, the 2015 Toyota 4Runner, and the 2015 Subaru Forester. Designed to brave the backcountry as easily as it handles city, suburb, and highway, the new Wrangler rises beyond the competition. The 2015 Jeep Wrangler isn’t a vehicle that indulges in pointless, cost-inflating gadgets, but rather a machine that focuses on off-roading capability. This is why it has such a low starting price compared to the Xterra, 4Runner, and Forester.Starting at just $21,995 the Wrangler Sport has performance in mind, with front fog lights and a convertible roof as standard to help you embrace adventure. In stark contrast, Nissan, Toyota, and Subaru have levelled up expenses, with starting prices far higher than the Wrangler. 2015 Forester: With the closest minimum cost, a standard Forester still costs you $4,000 more than the Wrangler, coming in at $25,995. 2015 Xterra: An entry-level Xterra will set you back at least $34,013, over $12,000 more than the Wrangler Sport. 2015 4Runner: Toyota will expect you to pay an extortionate $39,060 for the standard 4Runner, almost $17,000 more than the Wrangler Sport. The 2015 Jeep Wrangler can handle the city streets in style, but it’s a vehicle that always feels most at home in the backcountry. This isn’t a soccer mom’s SUV — this is a pedigreed performer with the design and features you need to conquer the untamed outdoors. For example, unlike the 2015 Xterra, 2015 4Runner, and the 2015 Forester, the 2015 Wrangler is Trail Rated. This means that it has been put through a rigorous series of tests to ensure that it meets all off-roading situations with confidence. The amount of work needed to get it to that level clearly paid off, as the 2015 Wrangler enjoys best-in-class ratings for ground clearance, approach and departure angles, and maneuverability. Indian Head drivers can take the Wrangler just about anywhere. Estevan drivers know that best-in-class capability doesn’t come without a strong engine. 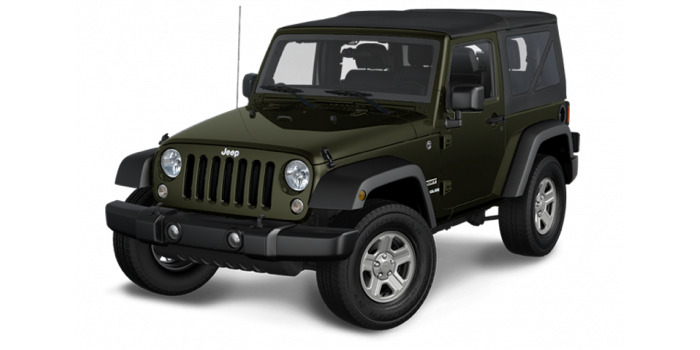 The 2015 Jeep Wrangler has been given one: a 3.6L Pentastar VVT V6. Already a legend, this engine produces more power than you’ll find from the 2015 Nissan Xterra, 2015 Toyota 4Runner, 2015 Subaru Forester.Capable of putting you in control of 285 hp and 260 lb-ft of torque, the 3.6L Pentastar is an unrivalled machine, one of the few able to meet Jeep’s strict criteria. In addition to an acoustic engine cover to reduce noise, you’ll also enjoy equal-length downpipes for enhanced low to mid-ranged torque, and a high-mounted, rear-facing alternator for fully protected water fording. The 2015 Jeep Wrangler can be fitted with a Rock-Trac heavy-duty part-time 4WD system, Tru-Lok front and rear axles, and a performance suspension, in addition to a number of other features you won’t find in the 2015 Xterra, the 2015 4Runner, or the 2015 Forester.Just because the Wrangler is designed for exploration, that doesn’t mean it sacrifices interior technology. The team at Jeep has made sure to include and enhance all features that might be needed, and their experience shines through in ways that manufacturers like Nissan, Toyota, and Subaru can only dream of. For example, the available touchscreen is 6.5 inches – larger than anything offered by those competitors, and easing use in rough conditions. Even the inclusion of something as small as a compass speaks of Jeep’s knowledge of what outdoor purists require. Superior Engine: The Wrangler’s 3.6L Pentastar has been included among Ward’s 10 Best Engines an incredible three times in succession. Superior Economy: The 2015 Wrangler was awarded the Lowest 5-Year Cost to Own award in the mid-size SUV/crossover category by Kelley Blue Book. Whichever way you look at it, the Jeep Wrangler reviews show that it is an exceptional vehicle. Available now at Knight Weyburn CDJR, it’s our pleasure to invite you down for a test drive. We’re close to both Estevan and Indian Head, and we hope you’ll visit our dealership soon!